Posted on December 10, 2016 by powshredder	tagged. Trying seeing out of those on a cloudy day flying down a mountain. There’s an “atmospheric river” overhead which is a warm jet of moisture that lasts days. Too warm, sadly. There’s rain everywhere. Just a few degrees lower and it would be snow. Instead it’s wet during the day and ice at night. 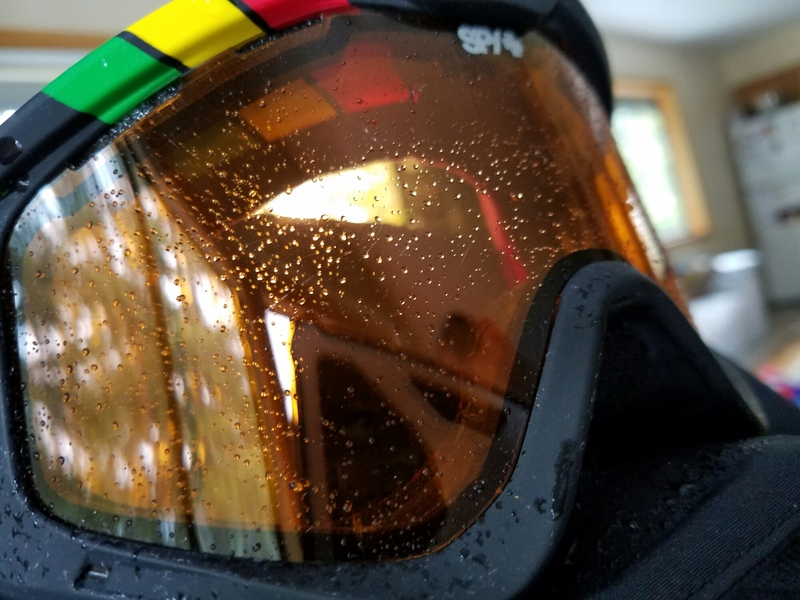 I rode in it a bit a couple days back and needing to wipe my goggles every 100′ got old fast. Lower gondola (g1) line extending to infinity. Because it rained and froze overnight the lower gondola and Broadway was the only thing open. Worse, Broadway was basically a glacier. 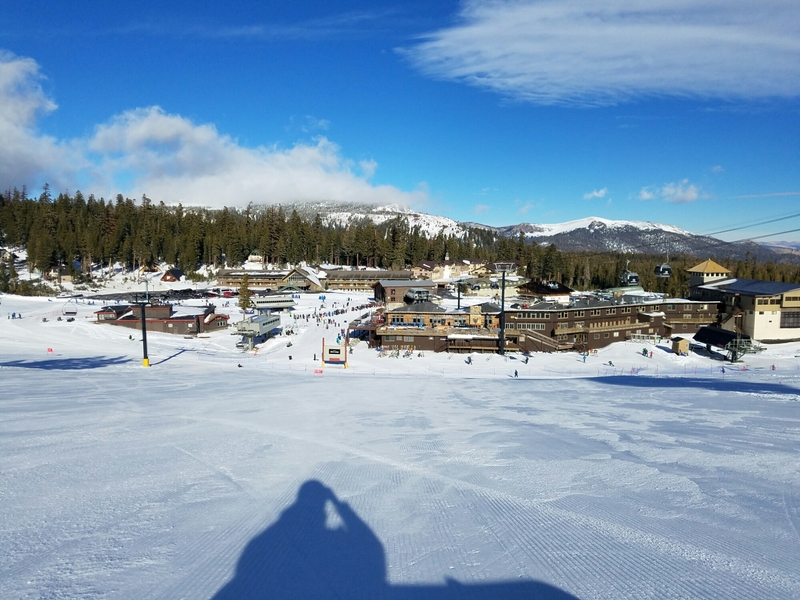 The good news is that some snow did drop and it’s the wet bondo base snow that the mountain snowmaking team loves because it doesn’t blow away and new snow adheres to it. 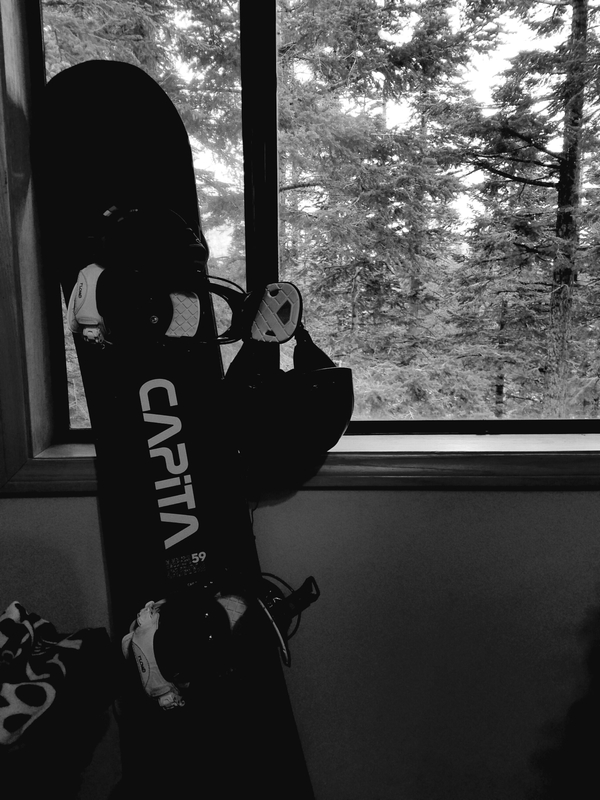 My new Capita Mercury, staring out a rainy window. Living up here I definitely get first crack at all the good weather days but I get the garbage ones too. A much colder storm is predicted in a few days so we’ll see if that forecast holds and keep waxed up. Today looks like trash duty, laundry, and catching up on work.